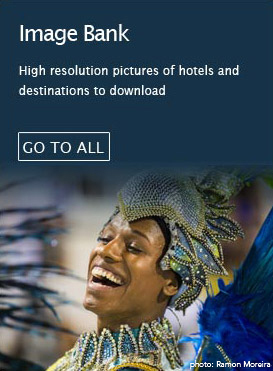 A LEADING DMC AND TOUR OPERATOR COMPANY IN BRAZIL, WITH OVER THIRTY YEARS OF BUSINESS EXPERIENCE. Blumar is specialized in designing and operating customized tourism programs based on the special interests of our clients. We provide highly personalized services that encompass the main tourist attractions in Brazil as well as the more unique and individualized needs of travelers intending to visit lesser known areas of the country. We focus our business endeavors around the ideals of reliability, accuracy, urgency and originality which enable the company to enjoy success in a very competitive market. We maintain a high quality level of service within the agency, and accept no less for our highly-valued clients. The company has been built around a very strong commitment to quality and we have invested heavily in selecting and training only the most proficient and competent office staff and tour guides. We also use the latest in tourism technology in order to secure an efficient and quick service experience. This investment has allowed us to maintain our position as one of the most reputable and experienced tour operators within Brazil. Our mission is to offer our clients an unmatched degree of comprehensive service in all aspects of their travel within Brazil. Our resources and capabilities allow us to attend to virtually every aspect of Brazilian travel operations. Whether it is the negotiation of hotel bookings, planning the finest details of the perfect social function, or providing white glove services for your most demanding of travelers, Blumar will satisfy all of your client's needs. Our deep commitment to service and a high level of quality means we tailor our work to meet the needs of each individual traveler, ensuring that every one of our clients can keep their clients happy! WHY DO CLIENTS CHOOSE BLUMAR? 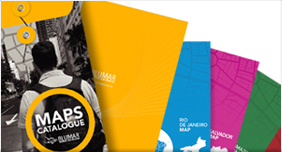 With office headquarters located in Rio de Janeiro, Blumar is ideally located to plan and coordinate with travel professionals from around the world. We pride ourselves on having a "gringo" sensibility for organization coupled with a Latin American sense of style. Over the last decade we have introduced more new products and services into the market than any other operator in Brazil. Our creations range from unconventional cultural tours to off-the-beaten track eco-adventures. No one knows Brazil better than we do. 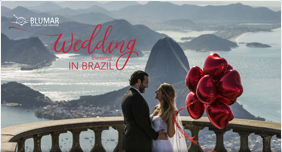 Our staff knows the best locations and how to provide the highest quality services at the most affordable rates in all of Brazil. This expertise is enhanced by a unique in-house Travel Management System that coordinates and keeps track of all the details associated with your accounts. Whether you need our comprehensive PCO/Travel Management System approach with global coordination, or some ideas for a successful incentive itinerary and smooth operation of an incentive trip that your client will never forget. Or you simply need to secure travel services for a client; we will be able to fulfill your needs. Here at Blumar we can do it all. Negotiate with hotels on your behalf , using our significant buying power to acquire optimum rates and guaranteed confirmation at selected hotels. Blumar is one of the most important companies to many key hotels throughout the country because of the large volume of our business, which allows us to secure lower rates than our competitors throughout the year.